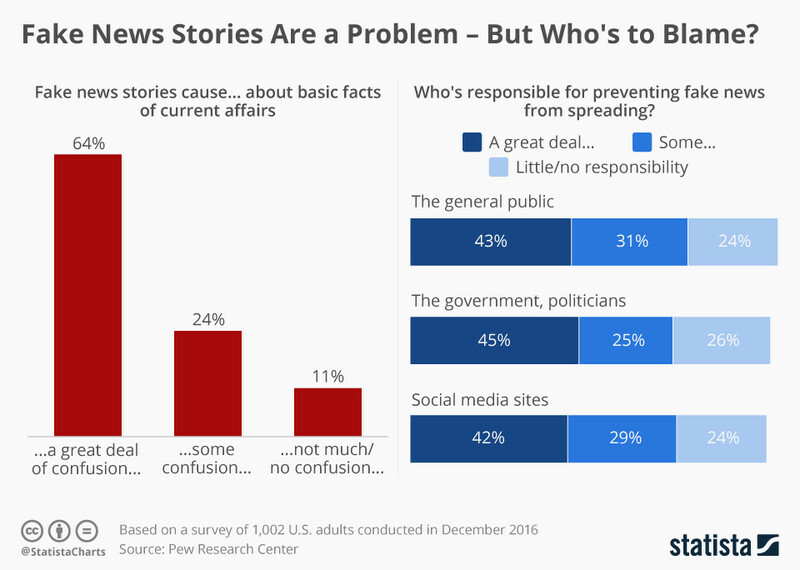 Scooper - Technology News: The majority of US adults think the media should not stray from the facts. 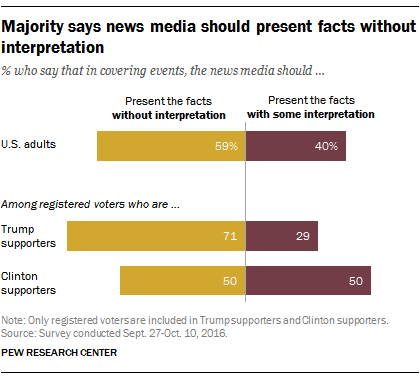 The majority of US adults think the media should not stray from the facts. There are substantial partisan differences over whether journalists should include interpretation in their stories. Registered voters who supported Trump for president favored a “just the facts” approach by more than two-to-one, with only 29% saying the news media should add interpretation. Clinton supporters, on the other hand, are evenly split on the issue, with half against interpretation and half favoring it. This may be linked to a perception among Republicans that coverage of their candidate had been too tough. Among Republicans, 46% thought coverage of Trump had been too tough, while only three-in-ten Democrats thought the same of coverage of Clinton, according to Pew Research Center’s mid-September survey .